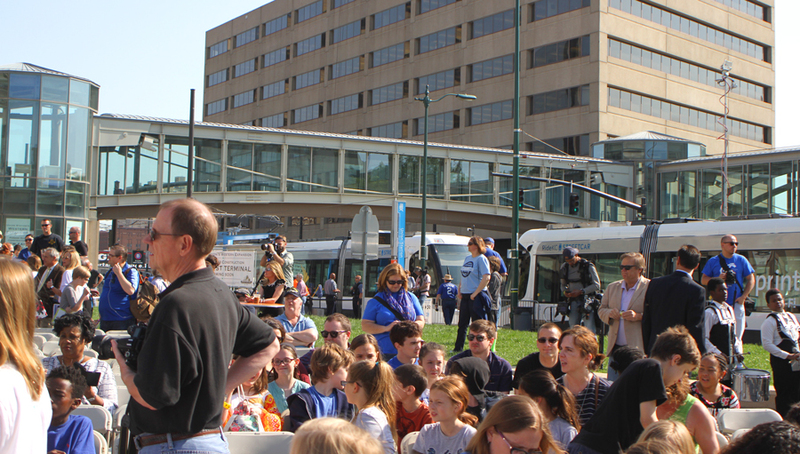 The KC Streetcar Authority received a Rosa Parks SPIRIT Award last month. The Community Partner Award recognizes their commitment to working collaboratively and innovatively to improve the overall public transportation experience and the quality of life in the Kansas City region. The KCSA has worked collaboratively with residents and businesses to return streetcar service to downtown after 50 years, while ensuring streetcar service is integrated with regional transit service and is part of the RideKC brand. KC Streetcar Executive Director Tom Gerend talks about the opportunities that KC Streetcar brings to individuals and to the region at large. The Rosa Parks SPIRIT Awards recognize people and organizations that have had a positive impact on the Kansas City community, especially in the area of public transportation. The awards are named after civil rights activist Rosa Parks, who refused to give up her seat to white bus passengers in Montgomery, Ala. Her arrest sparked a 381-day bus boycott in Montgomery, an event which is considered one of the significant challenges in the history of racial segregation. In naming these awards after Rosa Parks, we honor her memory, her commitment to equality, her lifetime of service and activism, and her lasting contribution to public transit.